In today’s globalised world, it has become crucial to safeguard your most important assets, mainly your family and investments. However, many individuals are seeking to obtain dual citizenship as it can provide various benefits. One of the main benefits of dual citizenship is that, by obtaining a second passport, one is also attaining visa-free travel globally. Moreover, a second passport signifies a better future to all the family and especially better educational institutions and work opportunities for the children. Dual citizenship will also provide access to better healthcare services and offer financial security. A second citizenship means more opportunities, as one will be able to access more than 170 countries worldwide visa-free and conduct business and investments more efficiently. World Citizen Equity Partners (WCEP) is one of the leading companies specialising in the field of citizenship by investment. 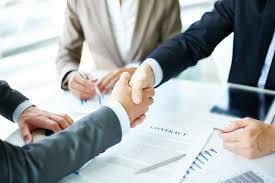 The firm provides various opportunities and can assist individuals during the process of the investment programme. World Citizen Equity Partners can help you obtain your second citizenship through the fastest path possible. The company has efficiently provided dual citizenship to over hundreds of clients from over thirty-three countries all over the Middle East, Asia, Africa & Europe. WCEP holds offices in Switzerland, Canada, London, Malta, South Africa, Ghana, Nigeria, Cyprus, Angola and Dubai. Partnering on this project, Chetcuti Cauchi Advocates is a full-service firm with offices in Malta, Cyprus, London, Zurich and Hong Kong. Chetcuti Cauchi Advocates offers high-quality legal services and advice. It also provides legal representation in all aspects of corporate law, intellectual property, trusts, international tax, immigration law and property law. In addition, the firm provides residency and citizenship by investment programmes with a holistic approach to various international clients seeking better opportunities. Maple Travel Limited is one of the leading travel companies based in Lagos, Nigeria. The company provides travel services to various individuals and corporate clients. Maple Travel has also diversified and now provides value-added services to high net worth individuals by offering citizenship by investment programmes. Maple Travel Limited offer various services, some of which are, meet and greet services, visa consultation, airport transportation and security and car services.